This secret rehearsal is brought to us by the Make It Up Club. The Make It Up Club (MIUC) nurtures, presents and promotes avant-garde improvised music and sound performance of the highest conceptual and performative standards—regardless of idiom, genre or instrumentation. 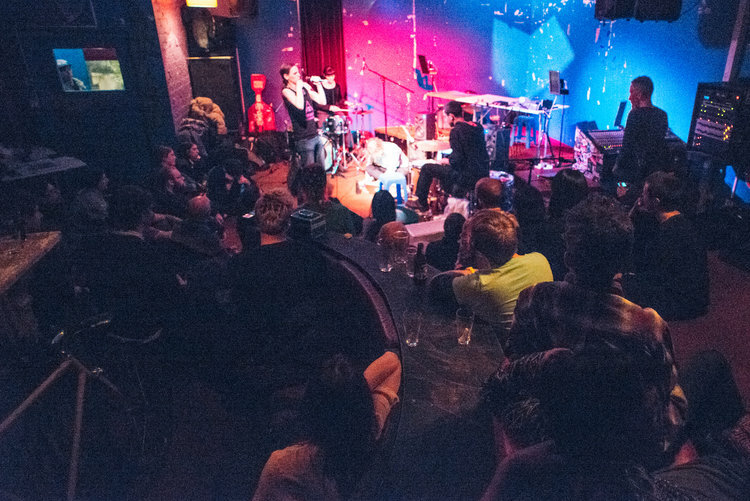 MIUC gives priority to projects that challenge the boundaries of current musical trends, culminating every Tuesday in a night of improvised performance at Bar Open. In this special secret rehearsal, Make It Up Club brings to MPavilion 2017 four legendary performers—Ernie Althoff, Nat Grant, Robbie Avenaim and Maria Moles—sure to provide an unparalleled soundtrack to your Thursday afternoon.